Jupiter is on the left and Venus is on the right in this picture, taken by Marek Nikodem of Szubin, Poland, at nightfall on March 12. 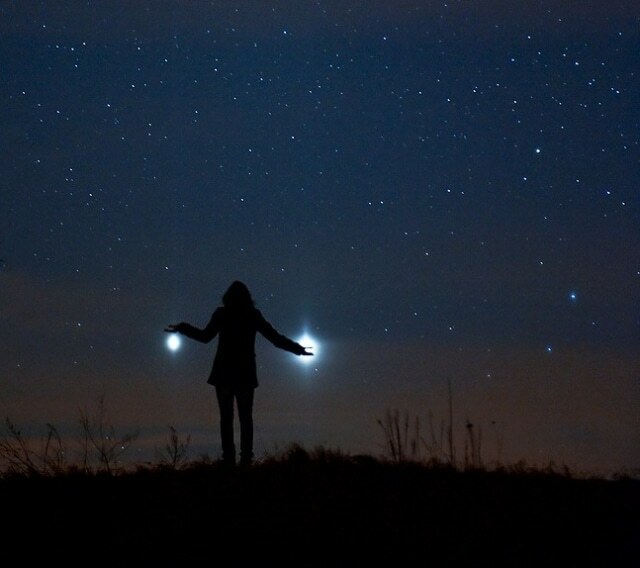 "They are like two lanterns illuminating the darkness," Nikodem told SpaceWeather.com. "It's a wonderful sight."